*Online Premiere* A woman who lost her ability to feel goes through a strange therapy in the forest. 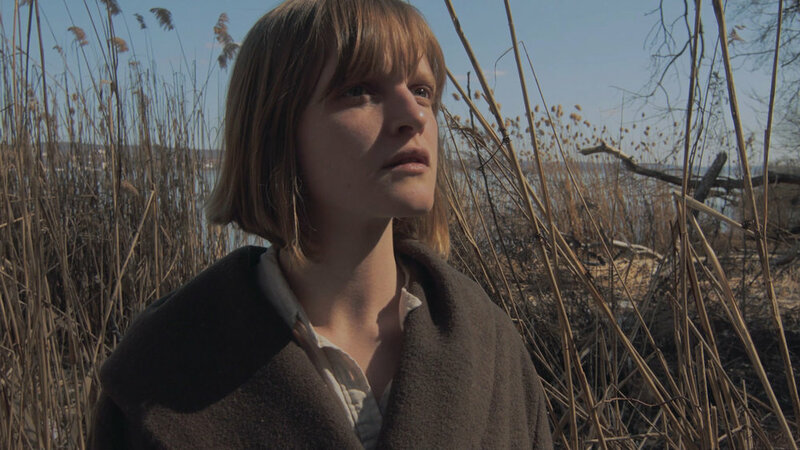 “Decompression,” by director Anya Alekhina, is an enigmatic character study of Angela, a detached young woman engaged in a series of odd exercises aimed at unblocking her emotions. A man’s voice (transmitted through a walkie talkie) leads her through the session. As she stares blankly at a plastic bag sculpture floating in water, the voice asks what she’s feeling. The problem is, she’s not feeling anything. Angela requests a different approach and the voice walks her through more surreal activities, like witnessing a happy man rolling a ball, and watching a group of people wave a gigantic sliver sheet. She studies each for clues, but continues to experience barriers, both language and otherwise. In the lead role is Sophie Traub, a captivating presence who has starred in Josephine Decker’s “Thou Wast Mild and Lovely,” as well as Jorge Torres-Torres’ “Fugue,” which we premiered in 2017. [Watch on YouTube]. (10 minutes). Written & Directed by Anya Alekhina. Starring Sophie Traub and Tsukasa Kondo. Design by Nastya Komarova. Produced by Artemis Shaw. Director of Photography: Prashanth Kamalakanthan.